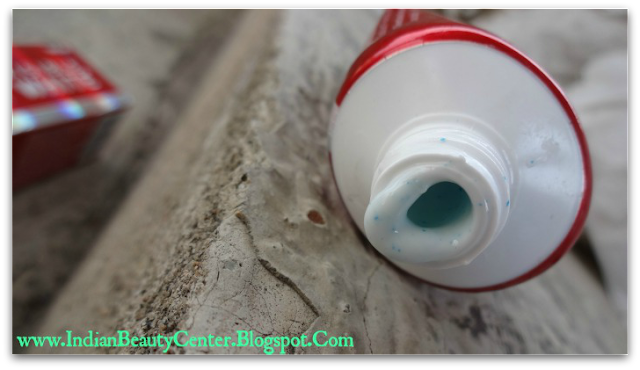 Color: The toothpaste is white in color with some minty blue whitening particles, spread all throughout. Packaging: It comes in an outer cartoon, which holds this gorgeous read tube inside it. The packaging is quite chic! Fragrance and taste: It is minty in taste (maybe slightly too much) and has a fresh minty fragrance. However, it does not keep the mouth fresh for a long time. Cleaning ability: It actually cleans the teeth nicely leaving the teeth squeaky clean and the mouth fresh! The minty taste might be a problem for some of you. Whitening ability: Now, this is the most interesting part. Does this whiten the teeth? Well, to an extent Yes. It works. I have seen a difference in my teeth in a week. My teeth looked brighter and whiter but not brighter by one whole shade. You need to use it 3 times daily (as mentioned on the pack) to get the full results. I did all this but it did not make my teeth 1 shade brighter. However, yes, it does whiten the teeth to an extent. In addition, many types of toothpaste just work for a week and then the teeth starts to lose its whiteness. 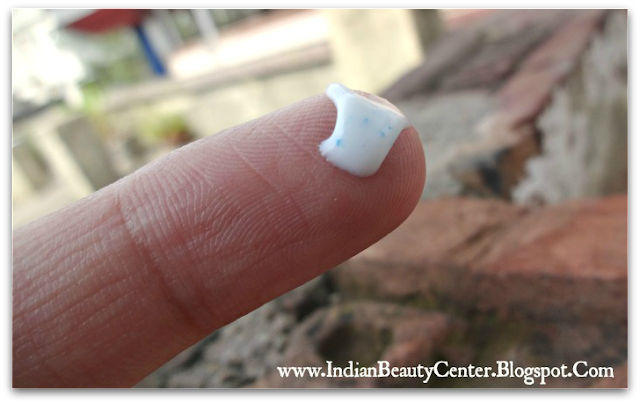 Nevertheless, with this one, teeth stay just as white as it was when you started using it. Use your mouthwash after using it and it will increase its capacity to keep your teeth bright. Overall, I am quite satisfied with its whitening ability. **The toothpaste has been bought by me with my own hard-earned money. I have neither received any payment nor have I received the product for reviewing purposes. The review, the pictures and the product- all are completely mine! Only hope that this new toothpaste is the same or as good as the one sold abroad.. I am using Listerine mouthwash for oral care and dental care . 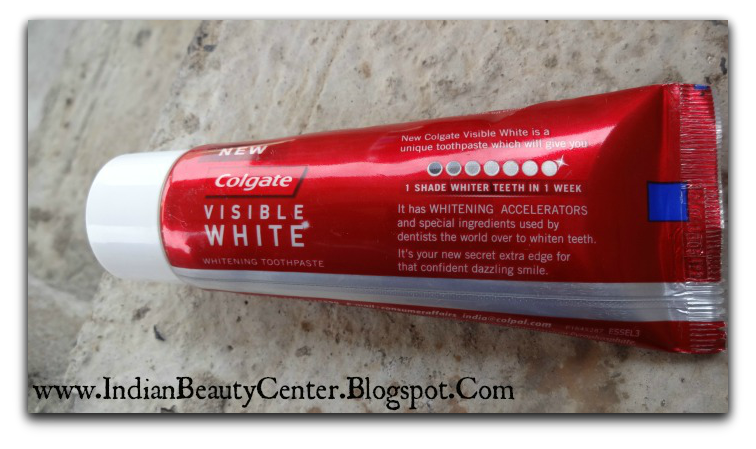 i have been using Colgate visible white for 3 days 3 times in a day. my mouth thrushing due to using Colgate visible white. Please Suggest Should i use it or not or it has side effect like this. Is optic white and visible white the same? Coz I have used the earlier, and its just brilliant. Is it launched in india? The packaging of both looks quite similar. I'm happy with 'close-up' . Nice review though. I like it as it helped a lot to attain some whitening ! I tried it n loved it too..great review arpi..
My dentist told me that i have flourosis problem which makes my teeth look yellow and stained . I really need a toothpaste which will help me to get cleaner teeth . will this paste work for me too ??? i think glister from amway is more beneficial.what do you think? 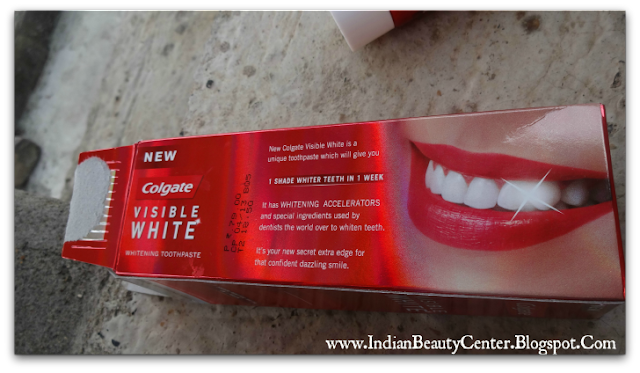 I usef Colgate visible white for two days and ny gums are bleeding.. Is it a side effect? Only visibly whitens the teeth...does not repair or whiten permanently. This is not a treatment. it actually works to whiten the teeth but also caused tooth sensitivity for me. i will not recommend for prolonged use - max one month and then discont. I am smoker, so, its obvious to have tobacco stains in the teeth. I was really worried about removing of these stains and finally, chose it and got the fantastic result of fading up of the stains in my first use. Amazing Experience, I would suggest to try it at least once for removing of stains. Its better if you can brush your teeth in front of a mirror so that you can clearly see your entire mouth. Brush for three to four minutes minimum and atlest twice a day. I am starting this good habit from today. Where r you, just have a try and share your experience.